Sole Nero will present an exciting program of contemporary art music during the 3rd Guest Artist Series Concert, Sunday, November 7th, at 3:00 PM in the Silver Lake College Chapel. Pianist Jessica Johnson and Percussionist Anthony Di Sanza, both professors in the University of Wisconsin – Madison School of Music, will collaborate in the performance of six commissioned works, all written within the first decade of this 21st century. No standard literature for piano and percussion exists; thus, a prime focus of Sole Nero’s mission is to commission and perform works that add to the body of classic music repertoire. Sunday’s program will be descriptive and imaginative. The composers themselves wrote the program notes. Listeners will be brought to new awareness of global sounds and will be amazed at the range and possibilities for 21st century music. Don’t miss this exciting and somewhat challenging new music! Tickets for Sunday’s concert are $12.00 for adults and $8.00 for senior and students; they can be purchased at the door. Seating is on a first-come basis. For more information, call the Silver Lake College Department of Music at 920-686-6173. Sister Lorna Zemke of the Silver Lake College Department of Music faculty will conduct a five-week session of Lovenotes™: Music for the Unborn Child, beginning on Wednesday, November 10th and continuing for 5 consecutive weeks. The class is open to all expectant parents, and starts at 6:15 P.M. at the college. Classes are 45 minutes in length and both parents are encouraged but not required to attend. Dr. Lorna Zemke, author of this unique concept of prenatal development, explains that the Lovenotes™ classes are not designed to develop “Little Mozarts”, but are meant to enrich the life of the unborn child. Pregnant moms and dads will find the quiet, contemplative moments and the uplifting musical exercises both relaxing and stimulating. By this early communication with their unborn child, parents begin to build a mutually beneficial life-long relationship. The nine months between conception and birth are vitally important to the emotional, social and physical development of a child. The most important contribution parents can make to the total well-being of their child is to clearly communicate before and after birth that he or she is wanted, cared about and loved. This is what the Lovenotes™ program is designed to achieve. The five-week course is a small investment of time needed to teach pregnant parents how to use the language of music to communicate love and reassurance to their unborn child. Preregistration is necessary; please call the SLC Department of Music at 686-6173. Silver Lake College is honored to report that a member of its faculty, Sandra Eithun, director of the Silver Lake college Hand Bell Ensemble, and a 1988 graduate of the Kodaly music education program, will receive the ASCAPLUS Award this year. This award given by the American Society of Composers, Authors and Publishers (ASCAP), is based upon the unique prestige value of each writer’s catalog of original compositions, as well as recent performances. The members of the Concert Music Division of the ASCAPLUS Awards panel are Judith Clurman, noted choral conductor and arranger; H. Robert Reynolds, Professor Emeritus at the University of Michigan; and Steve smith, music editor for Time Out NY and classical music critic for The New York Times. On Friday, October 22nd Silver Lake College will host “Diversity through Music,” a musical presentation featuring four area high school choirs. The presentation will include the performance of two or three pieces by each choir accompanied by a brief description of the stylistic period and/or compositional technique. The participating high schools will be Lincoln, Roncalli, Sheboygan South, and Two Rivers. The Silver Lake College Chorale will also present a few selections. This performance will give area high school students an off-campus performance opportunity where they will learn about different stylistic periods, and performance cues from their peers. The event begins at 12:30 p.m. in the Silver Lake College Chapel, and is open to the public. Contact Damon Carlson at 920-686-6184 for more information. 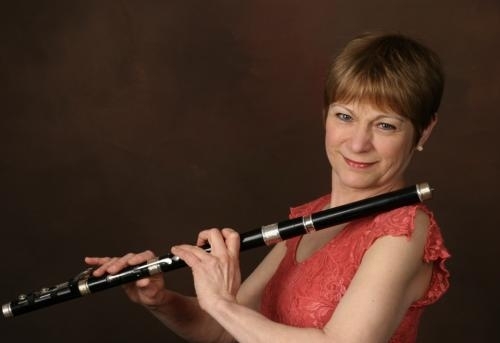 Laura MacKenzie, “the Celtic Wizard”, will appear with Gary Rue in the second of the 2010-2011 Silver Lake College Guest Artist Series, scheduled for Sunday, October 10th at 3:00 PM in the SLC College Chapel. Laura MacKenzie, named the “High Priestess of Celtic Music” by the Minnesota Public Radio, commands a vast repertoire of music from Ireland, Scotland, Nova Scotia, England, Central France and Northern Spain on a splendid array of wind-powered instruments including flutes, whistles, concertina, bagpipes and voice. With astonishing versatility, her performance is supported by the grace, warmth and humor, the craft, knowledge and lore gleaned over years of music-making. Laura will appear with Gary Rue on guitar and voice. Rue’s full-throated, melodic guitar style and vocal contributions perfectly compliment MacKenzie’s musical prowess. Together they present a sparkling and original duo, rooted in tradition, and presenting a rich tapestry of marvelous music. The Concert, titled “Celtic Harvest”, is a “Bountiful Banquet of Celtic Music and Song”. Sunday’s concert begins at 3:00PM in the SLC College Chapel. Adult tickets are $12.00 and Senior (65+) and Student tickets are $8.00. Tickets can be purchased at the door. Seating is on a first come basis. For more information, call 920-686-6173. Silver Lake College invites the community to attend Java Jam on Saturday, October 2, 2009 at 8:00 p.m. in the cafeteria. 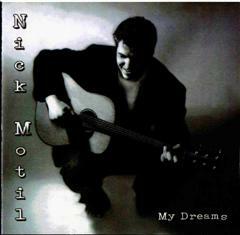 Java Jam will feature the music of Nick Motil, an Ohio guitarist and vocalist influenced by Paul Simon and David Gray. Coffee and specialty drinks will be available for purchase. Designed to be a night of music, coffee and fun, Java Jam is open to individuals of all ages and free to the public. All proceeds from the event will benefit SLC Campus Ministry and SLC Optimist Club projects. Java Jam serves as a close to a full day of Francis Fest activities including horse drawn wagon rides, bingo, and a bake and plant sale. For additional information, please call 920-686-6163.